The new and improved Karma Falcon powerchair comes complete with a range of new, exciting and innovative features. 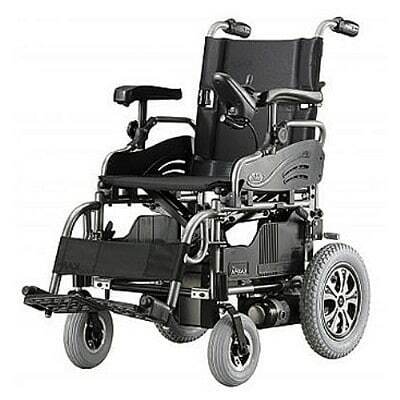 The range of new features make this particular model well sought after in the current powerchair market. Parallel joystick bracket with swing away control. Powerful 45AH batteries fully charge to complete a journey of an impressive 18 miles (30km) made at the top speed of 6km per hour. The comfort has been increased by the new height adjustable armrests that have been specially designed to fit perfectly with the contour of the user’s arms. The maximum weight for this particular model is 18 stone (115kg). The seat itself is available in three different widths: 16”, 18” and 20”. The range of features make the Karma Falcon powerchair suitable for many different types of users. 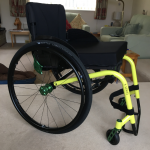 The new aluminium split rim rear wheels and casters enable the tyres to be replaced with ease meaning maintenance for this powerchair is virtually effortless. 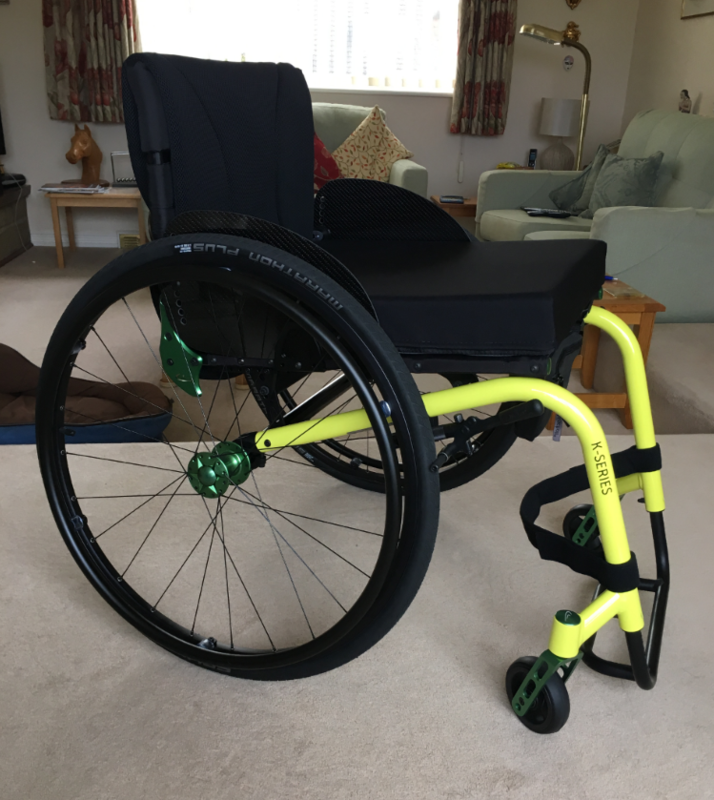 Puncture proof rear wheels and solid casters mean this powerchair is particularly sturdy and adapted for day-to-day use. With the new and improved steering the Karma Falcon powerchair is easy to control and ideal for users who require occasional assistance. Through the quick release steering handles, the joystick is able to be moved backwards and forwards instantly making it exceptionally easy to use. Storage and general transportation is made effortless by the frames foldable mechanism that transforms into a compact package with the heaviest weight being a generous 32kg. The newly designed Karma Falcon has been rigorously tested to ensure premium quality and optimum ease of use without compensating on the quality, durability and experience of the first generation Falcon wheelchairs. Please contact us or call into one of our showrooms to test drive the Karma Falcon powerchair or take a look at our extensive range of powerchairs we have in our showrooms.